During the past decade, a rising interest has emerged in aspects of the broad construct of executive function (EF) in childhood. This has transpired as research has discovered that the development of EF is particularly rapid during early childhood, and that the healthy development of EF appears to play a key role in children’s developing social competence and academic and social readiness to attend school. 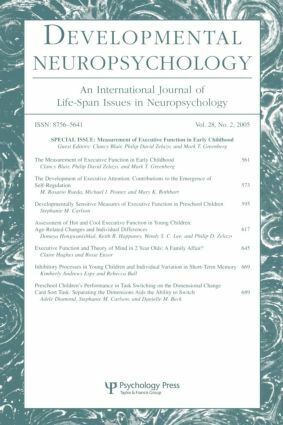 The articles presented in this special issue help advance our understanding of the development of EF, as well as the challenges researchers face when attempting to characterize an aspect of cognition in very young children. Ultimately, this special issue illuminates the many ways in which children come to exhibit age-appropriate levels of social and cognitive competence.